The Palm Plants made available by us are widely used as ornamental plants. Our wide range of Palm Tree Plants generally tall in heights with spreading and long leaves. The Indoor Palm Plants made available by us include Coyure Palm, King Palm, Minature Sugar Palm, Nicobar Palm, and Jelly Palm and so on and so forth. 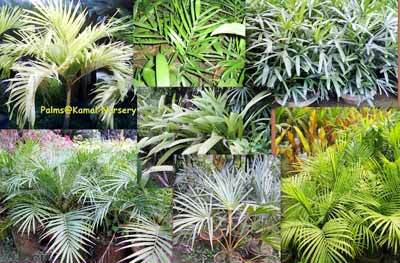 All these variety of palm plants are grown as per the international standard at our nursery. Besides, we also deal in Mini Palm Plant. Moreover, we are one of the major Palms Plants Suppliers in India.